Visit one of the other mind-blowing ventures of NextGen games, The Flash slots is based on a supernatural theme. Barry Allen in the role of the famous character of DC Comics is the slot’s hero. He is fighting the criminals of the city with his powers. There are many amazing features that are sure to keep you on your toes. The RTP of the slot is good, so you must surely go for this slot. 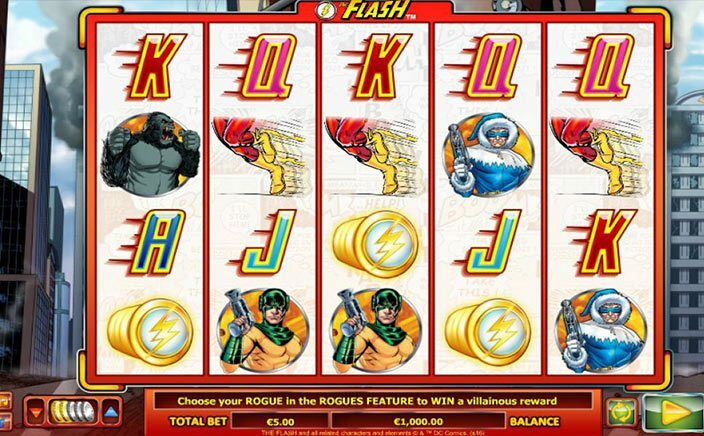 The software for The Flash slots has been provided by NextGen Gaming. The company is based in the United Kingdom. The company has been carrying its operations since 1999 and over time it has provided many mind-blowing slot games to the casino industry. The company is known to come up with new and eye-catching features in their slots which are bound to entice the slot lovers towards the slot machines. With 50 paylines, there are huge opportunities available to the player for wins. 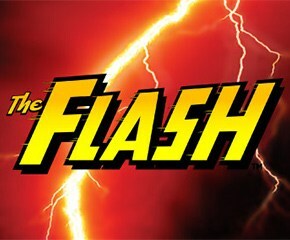 The Flash is the wild symbol. When a winning payline is formed with the help of the wild symbol, the slot shells out 10000 coins to the player Also, all such wins are accompanied by a 3x multiplier. The symbol of lightning is the scatter symbol. If you obtain at least 3 symbols of lightning, you are awarded 12 free spins bonus. Also, if you manage to form paylines using the Wild symbol during the free spins round, you get a 10 times multiplier to your stake amounts. As for the other bonus symbols, there are three interesting bonus features. These include the Captain Cold Feature offering freezing expanding wilds with a free re-spin, the Gorilla Grodd Feature, the Random teleporting wilds feature, and the Mirror Master offering 4 additional free spins. The Bonus Bet feature is another peeking feature of The Flash slots. You can activate this feature using a button at the bottom of the slot machine. Every time you want to experience this feature, you need to spend 10 additional coins. During this, you also have the option to experience the Rogue Feature. Every win during this feature gives a 5x multiplier to your wins. Summing up, the slot comes with a simple gameplay and has abundant winning opportunities for the player. So if you have a passion for trying different slot game features, this slot is worth the wait.